Good evening! How are all of you feeling tonight? In my case, it couldn’t have been better! It’s been almost two months, since I’ve been posting my ”ladies” both here on my website and on Facebook! It is a lot of work, but I truly love it and I’m making new connections with lovely people who either share the same interests or appreciate what I do. 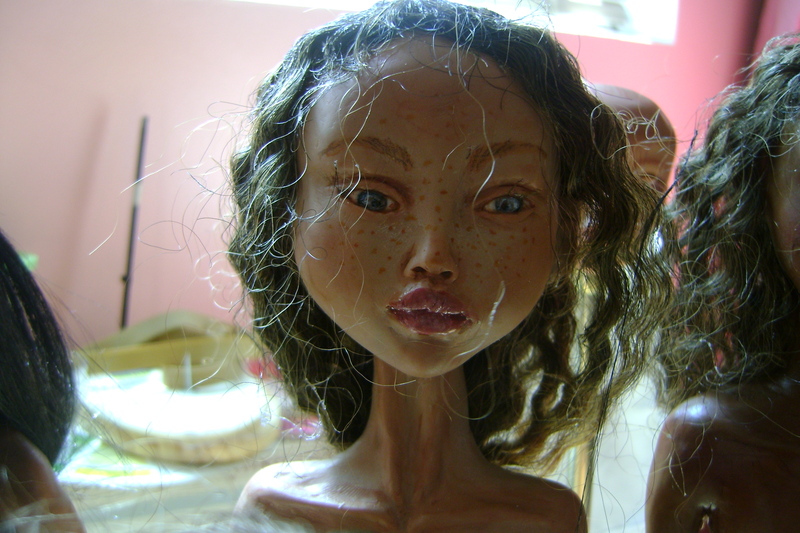 As I mentioned yesterday on my Facebook page, here is Betty my sixth doll from the year 2013. 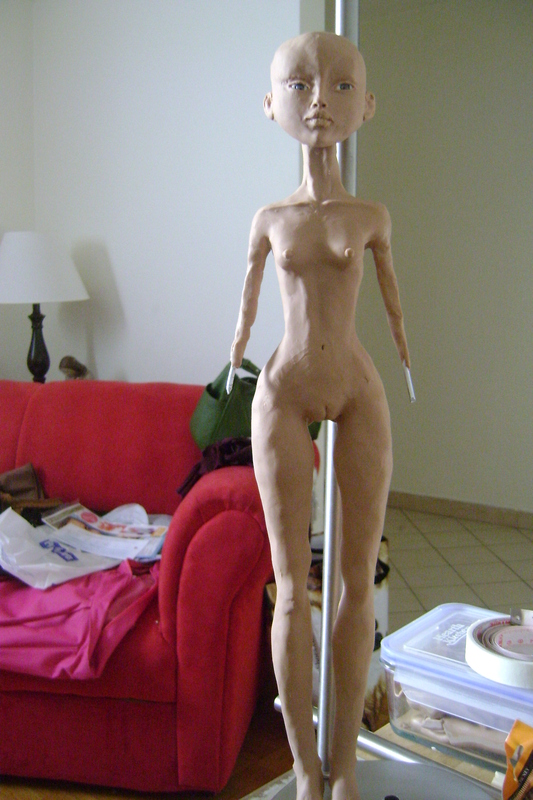 She’s made from leftover Living Doll clay and since I do not like waist nor this clay, I felted culpable and obligated to sculpted her! This clay…really makes me nervous since I have to work with it quickly, otherwise it sticks to my hands and I have a hard time to mold. 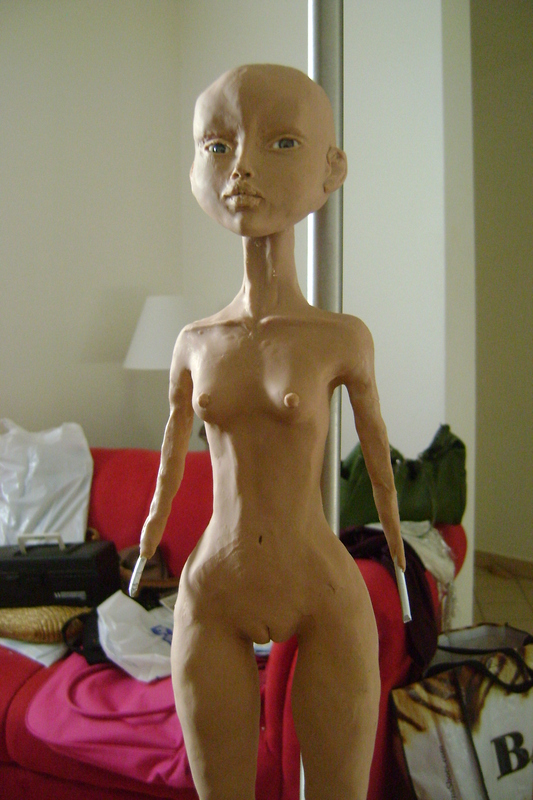 Also, do not be surprised that on future posts to see MANY other dolls made from this clay! 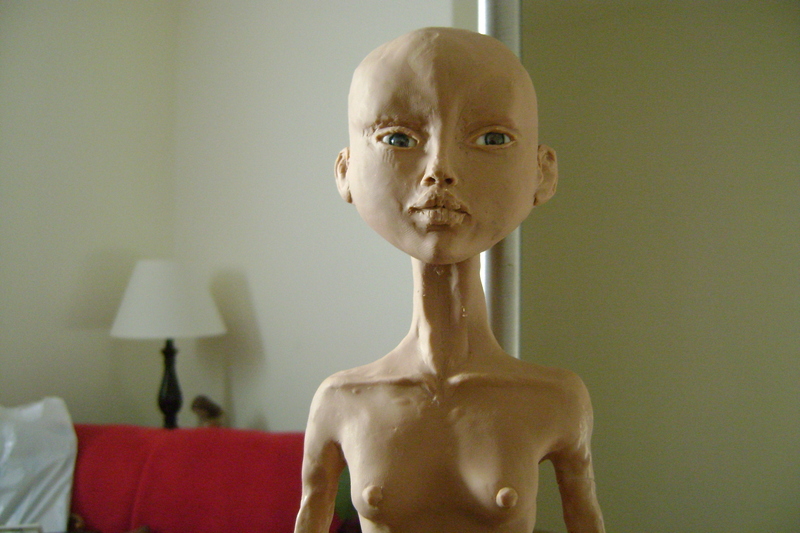 Some of you might be wondering why I continued to use this clay, the answer is very simple: because it was the only polymer clay that I could find easily here in Montreal, in a specialized hobby and craft store. 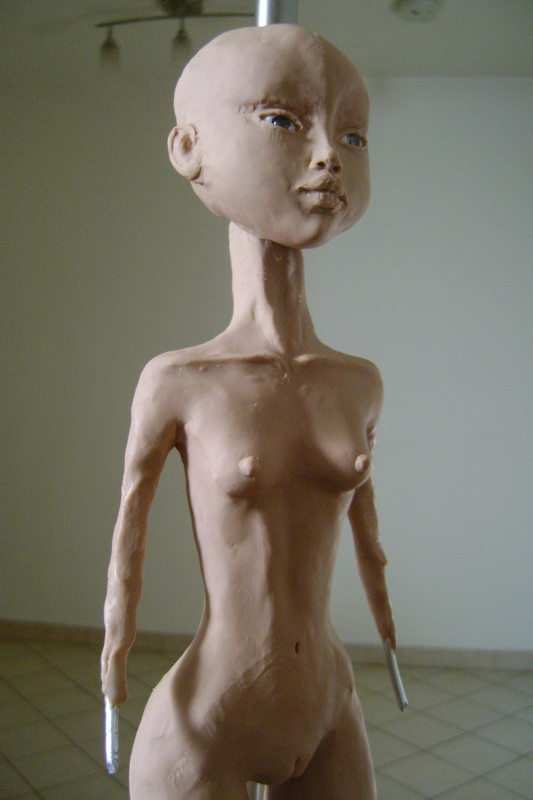 In addition, I wanted to give it a chance by combining it with other higher quality polymer clay, such as Fimo Puppen, Fimo Classic and Cernit, which are used by professional doll artists. Thanks for watching!